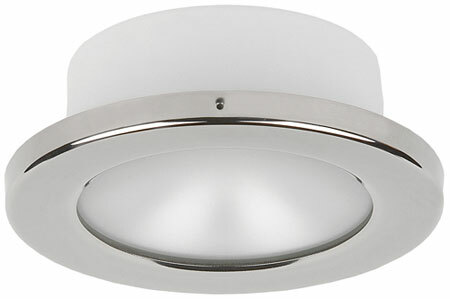 The Tacoma 105 PowerLED is a high-output downlight. 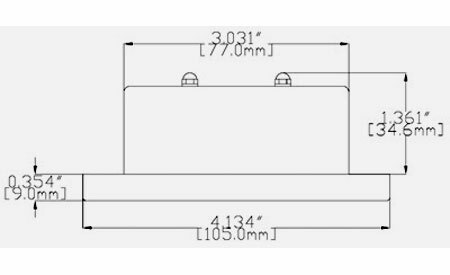 Bridging the gap between the smaller Portland PowerLED and the larger Tacoma 155, the Tacoma 105 4 inch fixture delivers bright light from a small footprint. 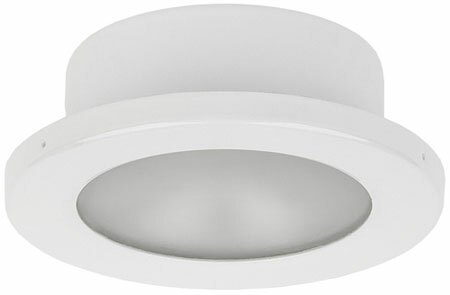 An ideal LED ceiling spot light for mid to large sized water craft, the Tacoma 105 incorporates Imtra Marine Product's latest duo-chip technology to deliver exceptionally high lumen output while reducing energy consumption and thermal output. Custom designed reflector and frosted lens combine for a smooth aperture appearance resulting in a symmetric and wide beam light pattern without the distracting striations that are common with traditional halogen and incandescent lighting. Warm White, Cool White, Warm White/Red and Cool White/Blue Bi-Color LED Bulbs available. Bi-color bulb options offer a full-brightness Warm or Cool White LED in addition to a secondary color option.